Rates effective January 19, 2018. Rates subject to change without notice. **All applications are subject to qualifying requirements. All rates subject to change. Terms and rates subject to credit score. FACT Act Notice: We may report information about your loan and deposit accounts to credit bureaus. Late payments, missed payments, or other defaults on your accounts may be reflected in your credit report. 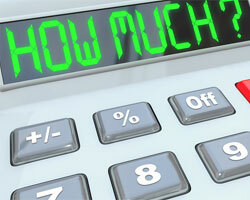 Before you purchase or refinance your home, find out how we can save you closing costs! Call today for more information.